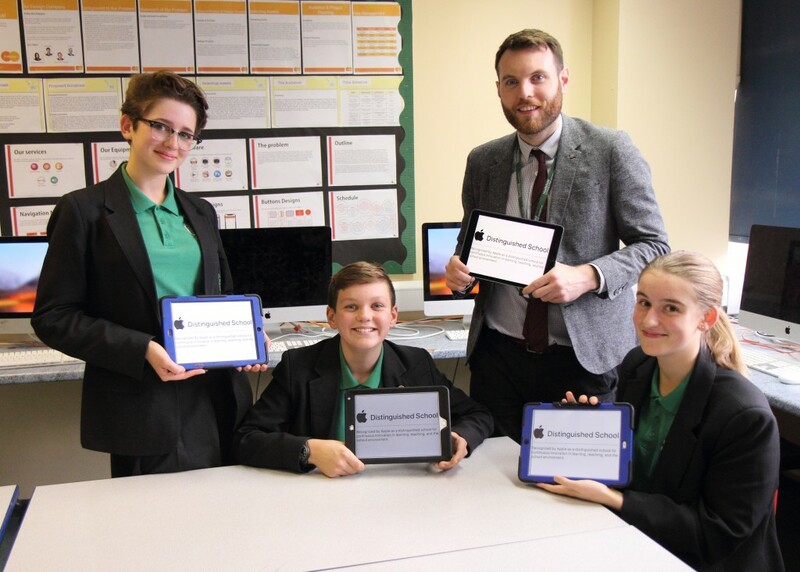 Heathfield Community College is pleased to announce that it has been recognised as an Apple Distinguished School for 2018–2021 for its innovative approach to curriculum design implementing the iPad as a tool to support both students and teachers in the learning process. Apple Distinguished Schools are centres of innovation, leadership and educational excellence that use Apple products to inspire creativity, collaboration and critical thinking. They showcase innovative uses of technology in learning, teaching and the school environment, and have documented results of academic accomplishment. The selection of Heathfield Community College as an Apple Distinguished School highlights our success as an innovative and compelling learning environment that engages students and provides tangible evidence of academic accomplishment. The iPad helps us strengthen the connection between the work being completed in College and the work completed at home. It allows students to easily access all homework tasks and personalised resources. Students can use iPad to record, photograph or present their learning in different methods. This includes video projects, interactive books, digital art and use of creativity across the curriculum. We believe that the iPad allows the students choice in how they create and present their work. It also provides opportunity for students to access knowledge and skills required for their learning through a wide range of different media. A key part of our learning process is building the confidence amongst our students to choose the right tool for the job and be critical of how the outcome will be produced. The iPad has allowed us to broaden the way in which we do this. We hope to continue to develop innovative research based professional enquiry and provide students a dynamic, creative curriculum.